High-pressure experiments with ordinary table salt have produced new chemical compounds that should not exist according to the textbook rules of chemistry. The study at DESY's X-ray source PETRA III and at other research centres could pave the way to a more universal understanding of chemistry and to novel applications, as the international research team, led by Prof. Artem Oganov of Stony Brook University (State University of New York) and Prof. Alexander Goncharov of Carnegie Institution, report in the scientific journal Science. But when the scientists put table salt under high pressure of 200,000 atmospheres and more at PETRA III and added an extra dash of either sodium or chlorine, "forbidden" compounds like Na3Cl and NaCl3 turned up. "Following the theoretical prediction, we heated the samples under pressure with lasers for a while," explains co-author Dr. Zuzana Konôpková of DESY, who supported the experiments at DESY's Extreme Conditions Beamline P02 (ECB). "We found other stable compounds of Na and Cl which came as a surprise." This is not supposed to happen, as these compounds require a completely different form of chemical bonding with higher energy, and nature always favours the lowest state of energy. But Oganov's team had calculated before that exotic compounds might form under extreme conditions and remain stable under these conditions. "We have predicted and made crazy compounds that violate textbook rules: NaCl3, NaCl7, Na3Cl2, Na2Cl, and Na3Cl," says Dr. Weiwei Zhang, the lead author of the paper and a visiting scholar at Oganov's lab at Stony Brook. At PETRA III and at Carnegie Institution the scientists tested the predictions in what they call "cook and look" experiments, targeting Na3Cl and NaCl3, the two compounds that were predicted to be more easily made than others, and indeed found them. "These compounds are thermodynamically stable and once made, remain so indefinitely," says Zhang. "Classical chemistry forbids their very existence. Classical chemistry also says atoms try to fulfil the octet rule - elements gain or lose electrons to attain an electron configuration of the nearest noble gas, with complete outer electron shells that make them very stable. Well, here that rule is not satisfied." Apart from its fundamental meaning, the discovery can also produce new practical applications. "When you change the theoretical underpinnings of chemistry, that's a big deal," Goncharov says. "But what it also means is that we can make new materials with exotic properties." 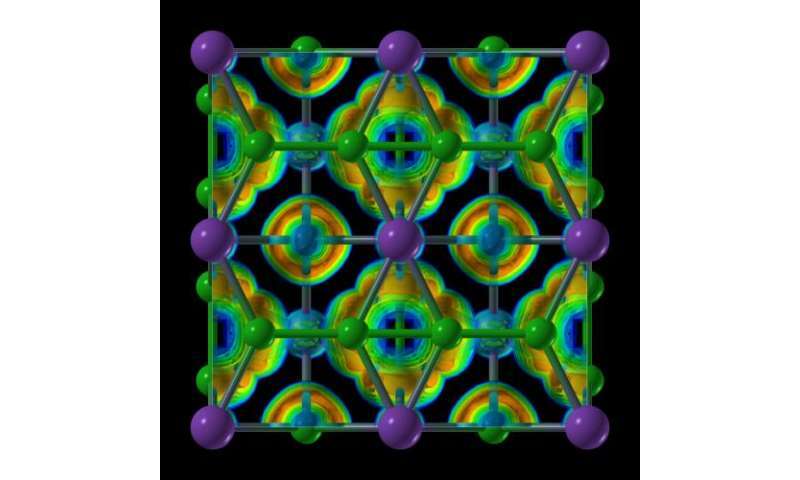 Among the compounds Oganov and his team created are two-dimensional metals, where electricity is conducted along the layers of the structure. 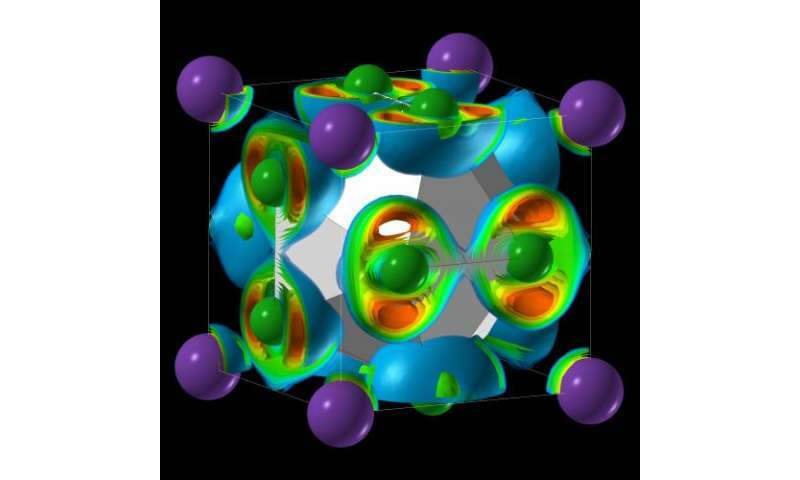 "One of these materials – Na3Cl – has a fascinating structure," Oganov says. "It is comprised of layers of NaCl and layers of pure sodium. The NaCl layers act as insulators; the pure sodium layers conduct electricity. 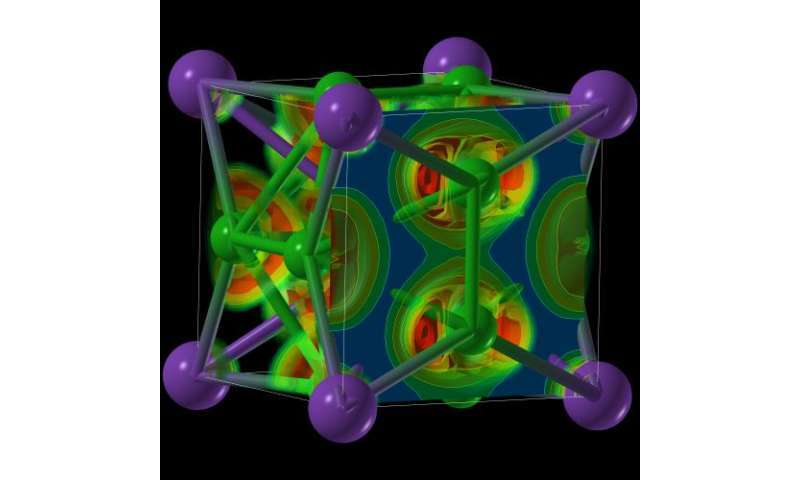 Systems with two-dimensional electrical conductivity have attracted a lot interest." The experiments with table salt might only be the beginning of the discovery of completely new compounds. "If this simple system is capable of turning into such a diverse array of compounds under high-pressure conditions, then others likely are, too," Goncharov explains. "This could help answer outstanding questions about early planetary cores, as well as to create new materials with practical uses." are these new compounds saltier? Just guessing here: In ordinary chemistry we're always dealing with sharing of electrons between neighboring atoms. Maybe under such high pressure atomic nuclei get so close that we're dealing with sharing of electrons accross two atoms in one direction at once? In any case theirs is certainly a revolutionary finding. Chemists will have to study (even) more physics in the future to learn their craft. "thermodynamically stable and once made, remain so indefinitely"
-I assume this means in ambient conditions. Is there energy stored and can this release violently? Pure fusion/red mercury? But does it taste good on Fish and Chips?